This one's for you, Molly White. Coca Cola Classic. Here she blows. The Swiss Miss. Amazing. Abigail, this one's for you. Moose tracks. The Super Treat little girl! USA. We joined her with our frosties. Best ever. 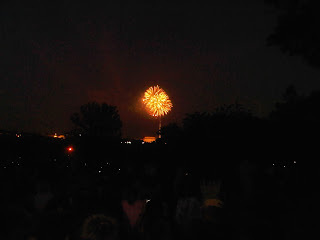 Fireworks overlooking the Mall. Love DC.